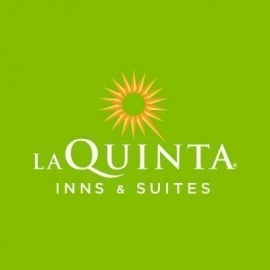 Conveniently located next to the San Jose International Airport directly off of US101, La Quinta Inn & Suites San Jose Airport is in the heart of the Silicon Valley. Services and amenities include a full bar, a unique blend of modern amenities and advanced technology with our commitment to creating a relaxing atmosphere. 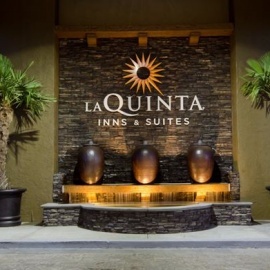 Our guests can enjoy free airport shuttle service runs from 4:30 am – 12:00 am to and from SJC daily, or Click here to book the transportation to and from SFO and OAK. We offer free Wi-Fi and parking during your stay, and our free Bright Side Breakfast that include additional hot items like eggs, bacon, sausage, biscuits and gravy, waffles and a variety of beverages. Each guest room is equipped with 32 inch LCD HD Televisions with 120 channels (60 channels available in HD), microwaves, refrigerators, and laptop safes. Within minutes of companies such as eBay, Cisco, Intel, Sony, Lockheed Martin, and Sun Microsystems you are never too far from your business needs. Our technologically updated facility will allow you to work from your room with amenities such as free Wi-Fi, oversized work desk, and ample electrical outlets. Our Business Technology Suites also include iMediacast, which allow you to mirror your electronic device to the LCD HD television and many more upgraded technologies. For other business needs such as printing, copying, and faxing, stop by our business center which is open 24 hours a day.